The Khaled bin Sultan Living Oceans Foundation World Web GIS Map Viewer wins 1st place at the ESRI in the Maps and Apps Gallery for electronic submissions. This article is written by former LOF GIS Analyst, Amanda Williams, who now serves as a Senior Geospatial Analyst for GISinc. working to expand their environmental presence. 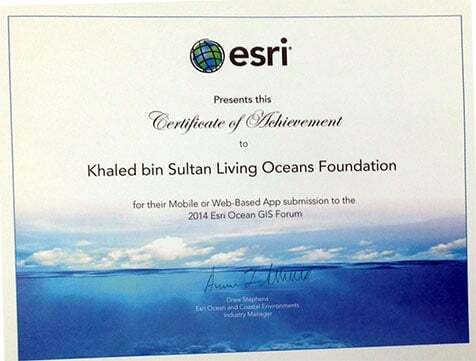 The Khaled bin Sultan Living Oceans Foundation, a client of GISi, was awarded first place award for their Maps and Apps Gallery Submission at the 2014 Esri Ocean Forum, held in Redlands, CA from November 5-7, 2014. The submission was for their World Reef Map, which is a continually growing web map interface comprised of benthic habitat and bathymetric datasets.